A common misconception I see as a career coach is the idea that a person can write one resume that will serve him in pursuing both private and federal job opportunities. I have come to refer to this type of resume as the “Privederal,” and unfortunately, I’m here to tell you that it does not exist. Even if you do use the same resume to apply for every job you are interested in (HIGHLY discouraged, by the way), it would be impossible to create one resume that functions for both private and federal sector jobs. The expectations for each of them are so vastly different. The mentality behind a private sector resume is to condense your experience and qualifications down to two pages or less, and clearly and concisely sell yourself as the best candidate for the job. Because your real estate is so limited, and because recruiters only spend an average of 6 seconds when first considering a resume, it behooves the applicant to use bullet points, break up or completely omit paragraphs, and to mention a particular qualification only as often as is needed to prove they meet the requirement (e.g. discussing your public speaking experience across the span of two jobs, in order to show you have at least 4 years’ worth of experience). In private sector resumes, redundancy and repetitiveness is not your friend. For federal sector resumes, however, the thinking is vastly different. Because you are competing against so many more people, because the federal hiring process is so regulated, and because one month more of experience can set you apart from the next candidate, there are no proscriptions against length, and (the right kind of) redundancy is highly encouraged. In the above example, we see that not only does the candidate have 10 years of experience presenting to people, he/she has also presented on different subjects to a range of people from subordinates to executives. This helps provide breadth and depth to the applicant’s resume, so overall length of the resume is less of a consideration. *It should be noted, however, that if you provide exactly the same information over and over, without providing more details, you have strayed into the “wrong” kind of redundancy, and may be at risk of boring your reader. You may have heard that private sector resumes can use one of three basic types of formats: chronological, functional, and combination. Each format is intended to provide a different kind of focus, depending on your experience and its relation to your position of interest. Federal resumes, on the other hand, have a lot less leeway. 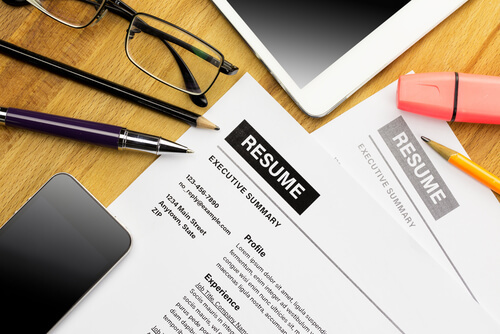 Though you may decide to present the information a little differently from one federal resume to the next, you will always be listing it chronologically (with current/most-recent first and moving back in time from there). Your private sector resume is more of a summary of your relevant work experience, so minute details should be kept to the minimum amount needed to prove your fit. For instance, the distinction doesn’t need to be made whether your experience was part-time or full-time. If it is important to the employer, they will ask. However, for federal hiring purposes, you must provide the average number of hours worked so that they can tabulate how much experience you have in comparison to other applicants. One year of experience in a full-time position is equivalent to two years of part-time work, so this is why the distinction must be made. Likewise, if you are currently a federal employee, or have been one in the past, your GS (or equivalent) level must be provided as it is a critical detail in federal hiring. Finally, if you are a veteran and/or are disabled, this can mean special hiring consideration for you in the federal hiring process, so you are strongly encouraged to include this information. By contrast, this is the exact sort of information that must be carefully considered before including on a private sector resume. While it can be tempting to take a shortcut and write one resume to send out to every employer of interest, regardless of sector, you have now seen why this is really no shortcut at all. Trying to cover all of the expectations for both of these very different sectors in one resume is impossible, and can only lead to an increased rate of “no, thank you” responses and a longer job hunt.